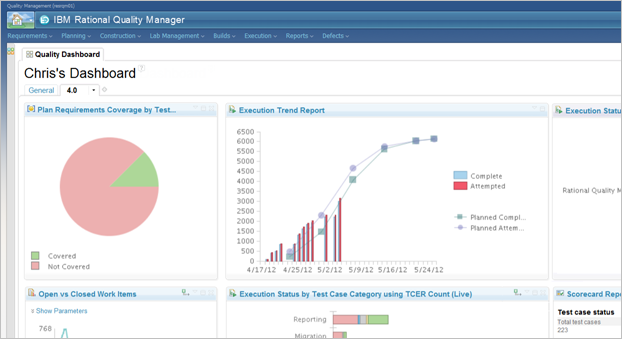 Rational Quality Manager comes with a set of predefined dashboard widgets and reports to help track test plan and execution progress in real-time throughout the testing cycles. Quickly identify weak or problematic areas that need your immediate action before it is too late to mitigate those risks. 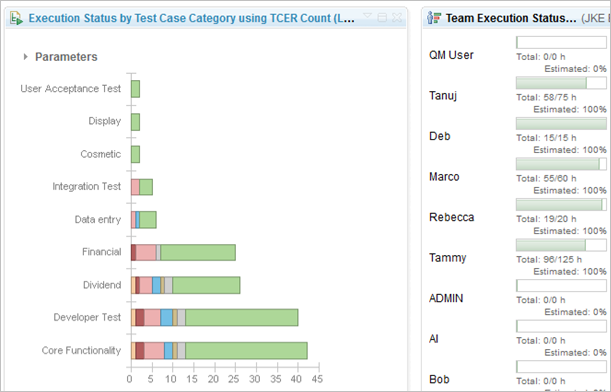 Dashboards are easy to create and update, and are highly customizable. You can add or remove any viewlet, drag and drop to move them around, organize them under different tabs, and configure each one to show exactly what you want. The appearance of each viewlet is also customizable. You can change titles, trim colors, and even make them trim-less so they stand out. Dashboards provide a great starting point or portal for any project or team by combining and condensing various types of useful information in one place. Keep track of your project’s overall health. See useful team information, links, announcements, and activity by visiting your team dashboard. Dashboards have a low barrier of entry. All you need is a browser. 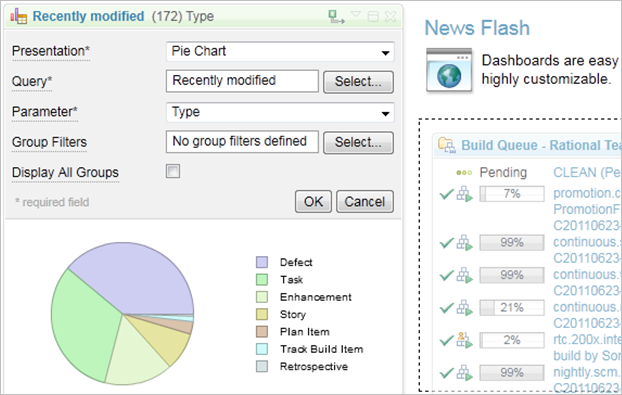 Users can create, configure, and share one or more Personal Dashboards to track project, team, and contributor information.